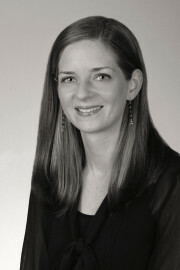 Kristyn Zajac is an Assistant Professor in the Department of Psychiatry and Behavioral Sciences at the Medical University of South Carolina. She earned her Ph.D. in clinical psychology from the University of Delaware in 2009. Dr. Zajac’s research interests focus broadly on the development, evaluation, and dissemination of evidence-based interventions for mental health and substance abuse problems among high-risk adolescents and young adults. She is currently the PI on a K23 Career Development Award from the National Institute on Drug Abuse. As part of this project, she is developing and evaluating an integrated treatment for co-occurring substance abuse and posttraumatic stress disorders designed for young adults involved with the criminal justice system. She is also interested in the development and evaluation of effective tools to ensure vocational success for young adults who struggle with substance use disorders and severe mental illness. Dr. Zajac is a licensed clinical psychologist in the state of South Carolina and the director of the Medical University of South Carolina’s Adolescent and Family Services clinic.